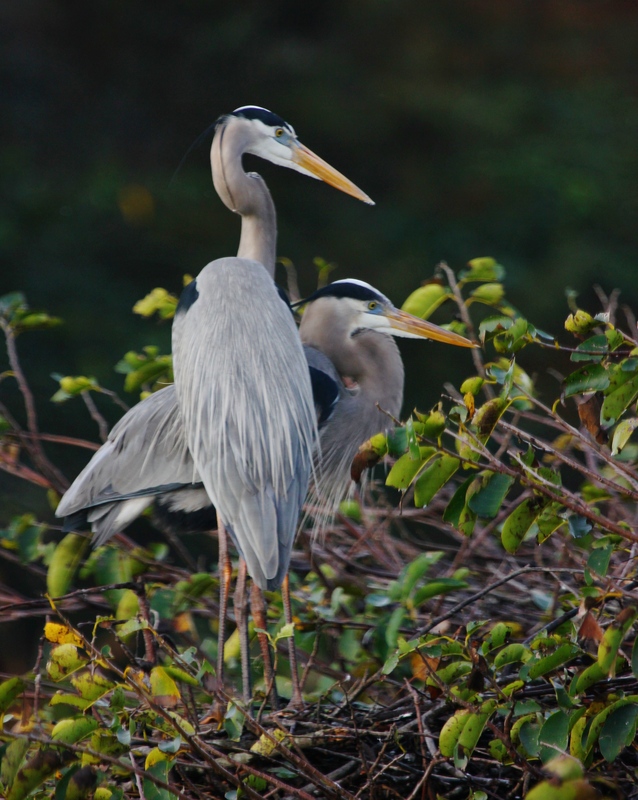 The Great Blue Herons are still very busy courting and getting ready to start their new families together. 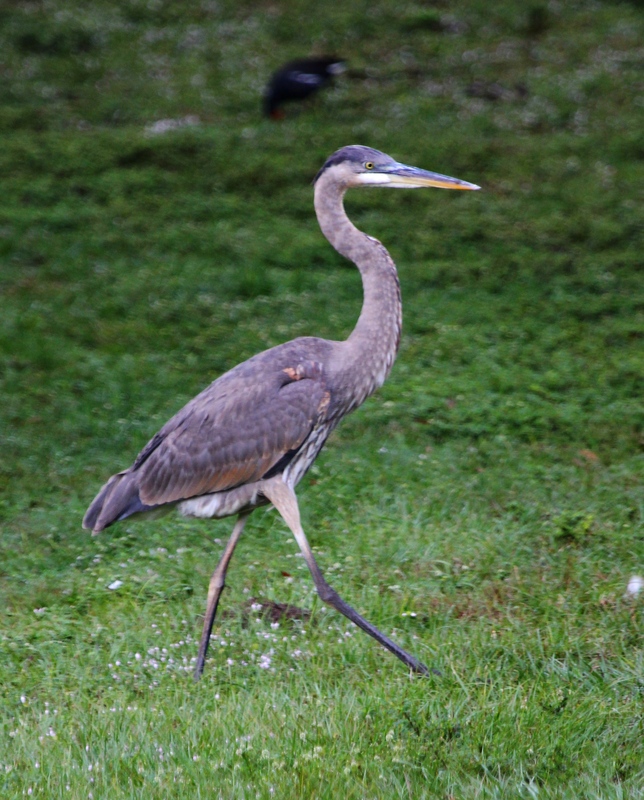 Off to work – Looking quite business-like as he struts off to search for just the right nest-building materials. Not quite as simple as heading to Home Depot and picking items off the shelf, though. Sometimes, that really ‘perfect’ little branch he finds back in the woods is pretty hard to extricate from the rest of the tree! Worth all the effort…! Finally, he manages to yank free his chosen stick and flies back to the nest, only to head out again in a few minutes for more. 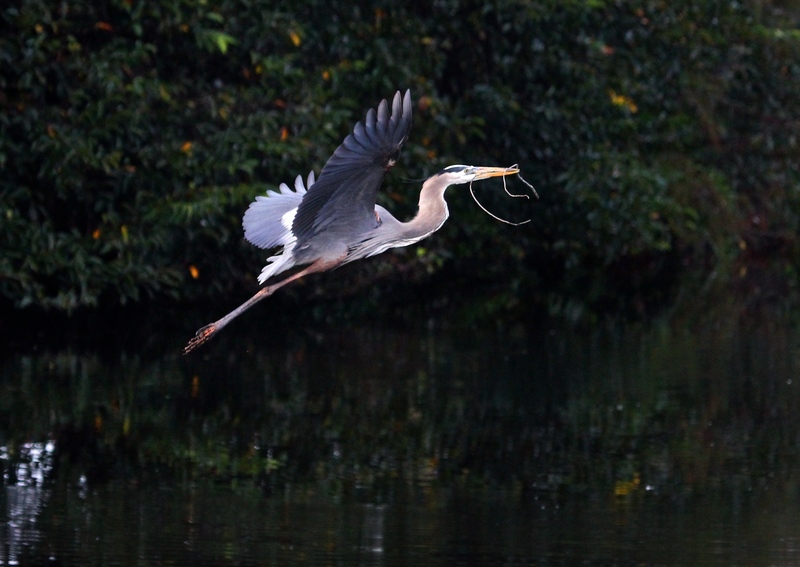 This entry was posted in Birds and tagged Great Blue Heron. Bookmark the permalink. 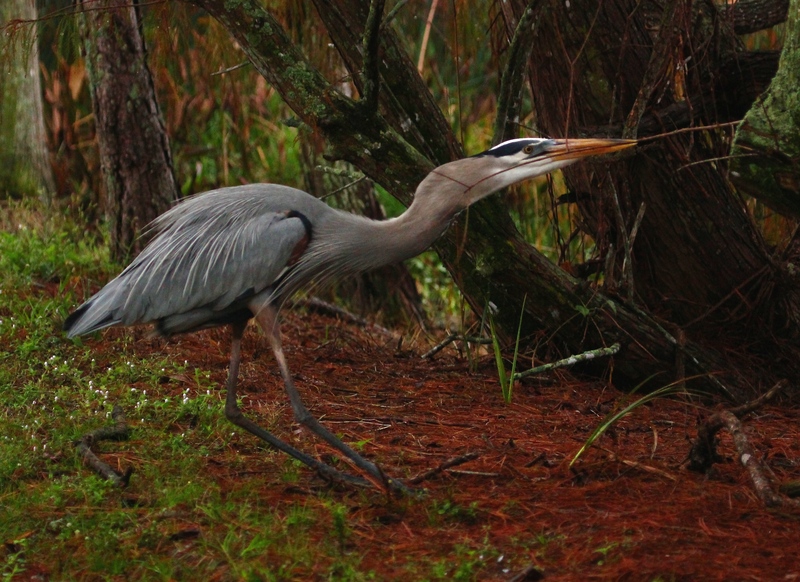 What a wonderful opportunity and experience, observing and documenting GBH breeding activities. The last 2 images are really special. Excellent sequence!!! Glad you liked it, Nick – we’re really fortunate to live so close to these places! I really enjoy behavioural sequences like this, so thanks for sharing it. Thanks, Sonja – I like viewing a sequence in action, too. I should do that more often ;). Thanks, H.J.! They are such a joy to watch, especially at this time of year. What wonderful captures, each one a beauty on its own. 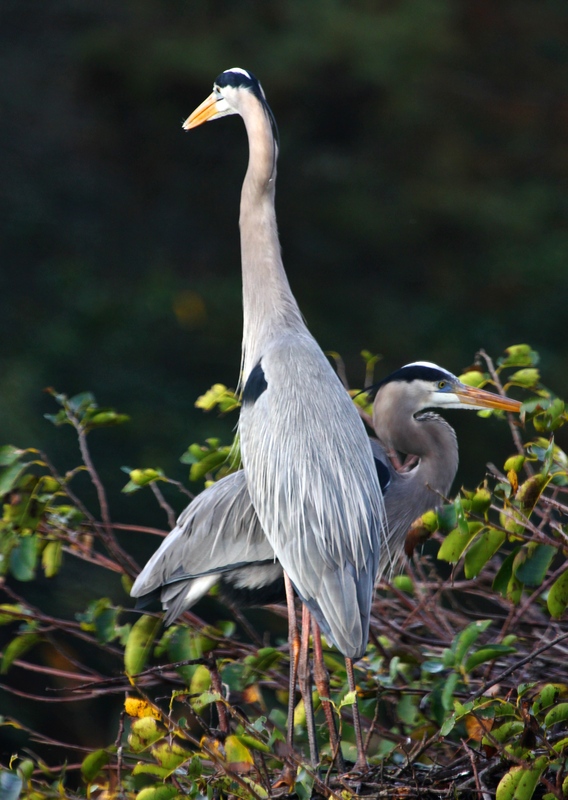 These incredible birds are truly spectacular to watch up close like this!